> It’s Makeover Time! These adorable babies want your help to renovate 4 rooms - bedroom, living room, kitchen & garden! > Clean & repair with tools - mop the floor, mow the grass, pick up leaves & much more! 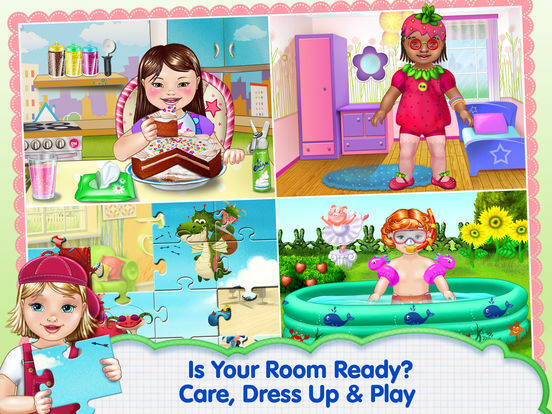 > Choose from different activities like pooltime,fun puzzles, painting and eating in the kitchen for endless entertainment! 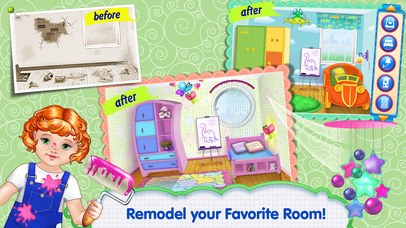 You’ve joined them on all of their previous adventures around the house, now get ready for home makeover fun! Watch your progress as the cleaning bar fills as you complete your room makeover! Room makeover is underway when you start in the bedroom to clean up the cobwebs and remove the garbage. 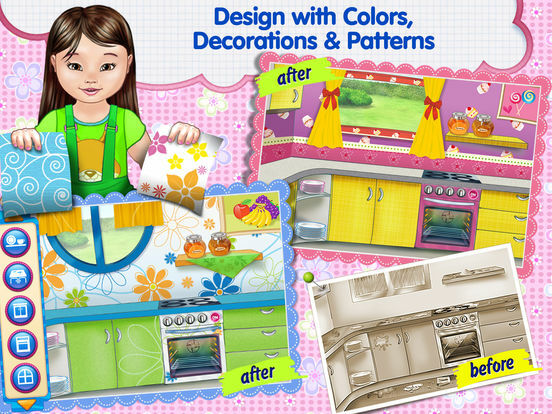 Then take your time to coordinate your decoration with pretty wallpapers and matching beds, dressers, lighting and more! You can even paint once you’re done! The fun doesn’t end there! Move on to the living room, where you can clean with a vacuum, duster, and other cleaning tools. Then change the furniture and carpet, and pick out a new TV and bookshelf to match the decor! 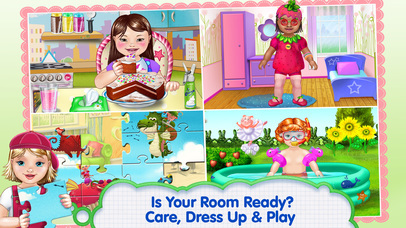 Play puzzles in your brand new room with your adorable baby! 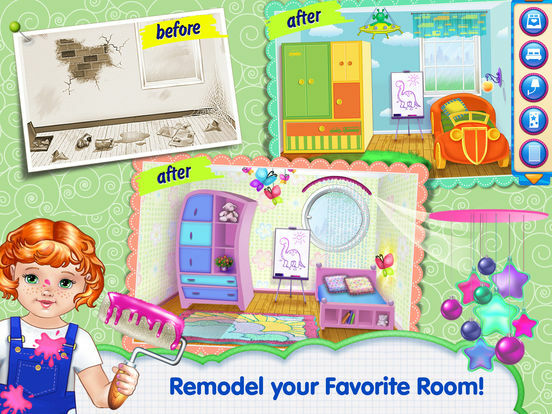 With this fun app, you can be a true renovating renegade! 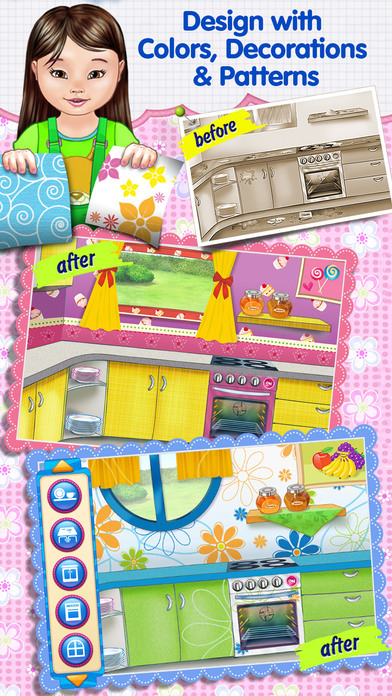 Now you can move on to fun in the kitchen! Make the countertops shine and floor sparkle with your special cleaning skills! Once you’ve tidied up, transform the ordinary old kitchen into the kitchen of your dreams with endless makeover options! You’ll even get the chance to feed your baby once you’ve completed the makeover. Get a breath of fresh air with some time in the garden, too! Watch your step though- you’ll need to get out the trash bags to clean up the pool! Perfect your backyard by using the lawnmower to trim 10 different types of grass! Redesign the garden to make it look like the backyard of your dreams with different pools, flowers, and more! Once you’re done play with the baby and watch the squirrels eat the strawberries! 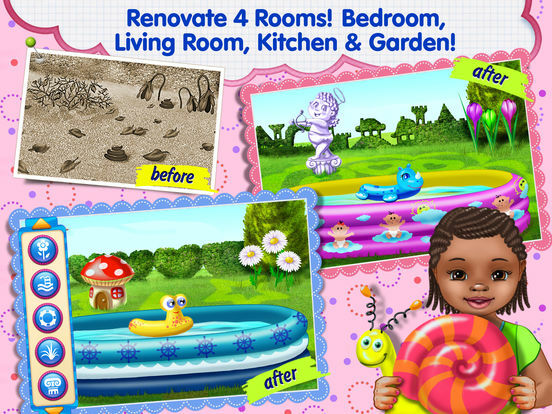 > Clean, repair, and play in each room, there’s so much to do in this house! 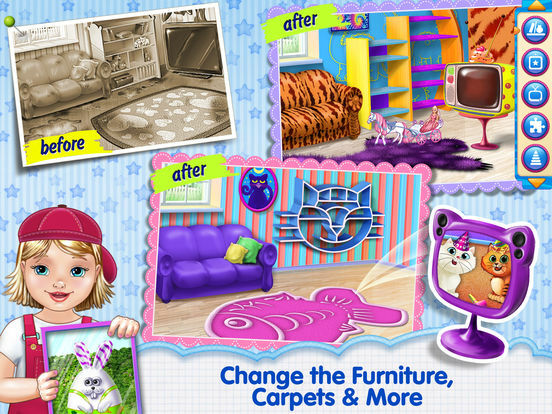 > Drag to select different tools like the mop, vacuum and lawnmower to make cleaning a easy and fun! 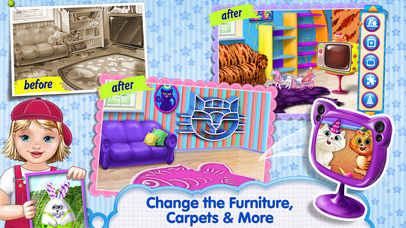 > Customize your home with wallpapers, rugs, furnitures and much more! > Play different activities like feeding your baby in the kitchen and painting in the bedroom once you’ve completed your tasks! > 4 rooms that need to be cleaned, restored, and redesigned! > 11 different cleaning tools to make the house sparkle. > Hundreds of decoration instruments like cute curtains, swinging mobiles, wallpapers, grass types & more! 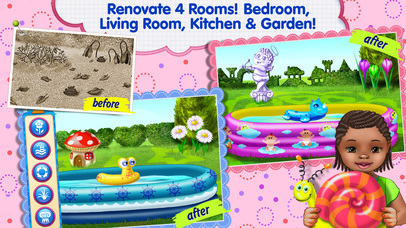 > 4 different activities such as: painting, puzzles, eating and play in the pool! > 15 different pool styles to play in! With over 1 billion downloads and growing, TabTale has established itself as the creator of pioneering virtual adventures that kids and parents love.